Difference between revisions of "Generation 19: The Divine Knights"
#Talk to the [[Farmhand]] south of [[Dunbarton]]. #*The Farmhand is located in front of a watch tower south of Dunbarton. #*You will enter the [[Shadow Mission]], '[[The Interloper]]'. #*After agreeing to help the farmhand, you will enter the [[Shadow Mission]], [[The Interloper]]. #**You must defeat 7 [[White Dire Wolf|White Dire Wolves]] and then a [[White Dire Wolf the Ancient]]. #**A group of [[White Dire Wolf]] x7 will spawn among a group of cows and chickens. #***The wolves are much stronger than their normal counterpart and will multi-aggro. #***These wolves are much stronger than normal and will multi-aggro you if you stay near them. #***Most wolves will attack a cow and push it away from the group. The cows are damage resistant and will not die easily, giving you plenty of time to pick off each wolf. #**After defeating the white dire wolves, a [[White Dire Wolf the Ancient]] will spawn north of the watch tower. #**After defeating the White Dire Wolf the Ancient, a green circle will appear where the farmhand was standing. #**Enter the green circle to complete the mission. #Speak with [[Duncan]] in [[Tir Chonaill]]. #Find [[Lassar]] in [[Sidhe Sneachta]]. #*Upon talking to Lassar in northern Sidhe Sneachta, a cutscene will occur and you will be taken into the [[Shadow Mission]], [[Annoying Enemy]]. #*Lassar appears knocked unconscious along the path in the northern field of Sidhe Sneachta. #*Defeat the [[Girgashiy (Monster)|Girgashiy]]. [[Altam]] and [[Avelin]] will assist you. #*After talking to Lassar, you will enter the [[Shadow Mission]], [[Annoying Enemy]]. #**While it has [[Advanced Heavy Stander]], Girgashiy only has one attack: [[Staff Swing]]. #**[[Altam]] and [[Avelin]] will assist you in fighting a [[Girgashiy (Monster)|Girgashiy]]. #*A cutscene will occur when the Girgashiy is defeated, then you will be teleported out of the mission. #**This Girgashiy uses [[Staff Swing]], an attack which is directed at you or your allies that will hurt and knock back everyone in an area in front of the Girgashiy. #***Staff Swing is easy to avoid if you can anticipate who will be targeted or when it will occur. If the Girgashiy will target someone who is out of its reach, it will run up to and face its target. If its target is within reach, it won't face them until it starts using Staff Swing. If you don't know who it will target, you should stay extremely close and wait for it to start its Staff Swing animation, so you can then run behind. Once behind it, you can attack it for about 5 seconds, then wait for its next Staff Swing animation, repeating the process. #**Defeat Girgashiy to complete the mission. Afterwards, a cutscene will occur and you will exit the mission. #Talk to [[Altam]] in Sidhe Sneachta. #Speak with Duncan in Tir Chonaill. #Talk to the [[Farm Owner]] north of Dunbarton. #*The farm owner is outside the city walls, north of the Church's location, in front of a house. #*You will enter the [[Shadow Mission]], [[Unwanted Errand]]. #*After agreeing to help the farm owner, you will enter the [[Shadow Mission]], [[Unwanted Errand]]. #**Follow the green circles and defeat the boars that appear at each location. #**The first three will spawn 5 [[Boar]]s, the fourth will spawn 5 [[Peridot Crystal Boar]]s.
#Meet the knight in [[Gairech]]. #*[[Avelin]] is located north of the Bangor [[Moon Gate]]. #*A cutscene will occur and you will automatically enter the [[Shadow Mission]], [[Arrogant Enemy]], which takes place where you are. #*After talking to Avelin, you will enter the [[Shadow Mission]], [[Arrogant Enemy]]. #**Avelin will assist you in fighting a [[Girgashiy (Monster)|Girgashiy]]. #**This Girgashiy starts immune to damage and uses [[Staff Swing]] and [[Holy Contagion]]: an attack which gives you an incurable poison that damages you for 5% of your maximum HP every second for 5 seconds. Unlike the [[Poison]] status, Holy Contagion can drain your health beyond 1 point and it will knock you unconscious. Holy Contagion will only target and infect you. #Meet [[Avelin]] in [[Morva Aisle]]. #*You will enter the [[Shadow Mission]], [[Do or Die]], which takes place at [[Port Ceann]]. #**[[Altam]] and [[Avelin]] will assist you. #**Defeat the incoming [[Girgashiy (Monster)|Girgashiy]] to trigger a cutscene. #**This Girgashiy uses [[Staff Swing]] and [[Holy Contagion]]. Holy Contagion will only target you. #***This Girgashiy uses [[Staff Swing]] and [[Holy Contagion]]. #**Defeat the Girgashiy to trigger a cutscene. #***If you run out of sight from Girgashiy, it will stop targeting you with Holy Contagion. Altam and Avelin will continue to fight it alone, but it would take a very long time for them to defeat it. #**After the cutscene, defeat [[Brilluen]], [[Marcan]], and [[Pennar]]. #**After the cutscene, [[Brilluen]], [[Marcan]], and [[Pennar]] will appear. #***All 3 enemies have [[Advanced Heavy Stander]]. #**All 3 enemies have [[Advanced Heavy Stander]]. Brilluen has [[Snap Cast]], [[Fireball]], [[Thunder]], and [[Ice Spear]]. Marcan and Pennar have [[Teleportation]]. #***Brilluen possesses [[Fireball]], [[Thunder]], [[Ice Spear]], and [[Snap Cast]]. #**Defeat Brilluen, Marcan, and Pennar to complete the mission. #***Marcan and Pennar will prioritize attacking you and frequently teleport near you when chasing. #***If Altam or Avelin are defeated, they will respawn to help you again shortly. #***One strategy is to separate each of them from each other then let Altam and Avelin help you defeat them one at a time. Marcan and Pennar begin by pursuing you. You can run by foot to the southwest corner of the map. They will both follow you by teleportation. Once you have them far out of sight from Altam and Avelin, you can summon a mount and ride it back faster than Marcan and Pennar can pursue you. When you are out of their sight, they will stop to wait where they are. Help Altam and Avelin defeat Brilluen, then get just within sight of Marcan or Pennar to attract them where you can fight 3 on 1, finally attract and defeat the last one. #***One strategy is to separate each of them from each other then let Altam and Avelin help you defeat them one at a time. Marcan and Pennar begin by pursuing you. You can run by foot to the southwest corner of the map. They will follow you with teleportation. Once you have them far out of sight from Altam and Avelin, you can summon a mount and ride it back faster than Marcan and Pennar can pursue you. When you are out of their sight, they will stop to wait where they are. Help Altam and Avelin defeat Brilluen, then get just within sight of Marcan or Pennar to attract them where you can fight 3 on 1, finally attract and defeat the last one. #Talk to [[Talvish]] in [[Port Ceann]]. You may start Generation 19 after reaching level 20, but it is suggested to do the other Mainstream Quests to understand the story more. 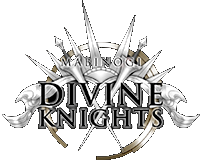 Generation 19: The Divine Knights is the beginning of Chapter 6. With the door to another world opened, an unknown entity and its Apostles and Prophets have begun to invade Erinn; the Milletian must join the Alban Knights to face this new threat. Upon logging in, you will receive the quest. Talk to Duncan in Tir Chonaill. Talk to Meven in the Tir Chonaill church. You will obtain the Poorly Sealed Box. Upon leaving the church, you will see a cutscene. After the cutscene, you will be teleported to the square of Tir Chonaill. You may optionally talk to the Prophet that appears at the square. Talk to Kristell in front of the Dunbarton church. Troubled hearts do not heal themselves. There is a young farmhand in need of guidance south of Dunbarton. Please talk with him. Talk to the Farmhand south of Dunbarton. The farmhand is located in front of a watch tower south of Dunbarton. After agreeing to help the farmhand, you will enter the Shadow Mission, The Interloper. A group of White Dire Wolf x7 will spawn among a group of cows and chickens. These wolves are much stronger than normal and will multi-aggro you if you stay near them. Most wolves will attack a cow and push it away from the group. The cows are damage resistant and will not die easily, giving you plenty of time to pick off each wolf. After defeating the white dire wolves, a White Dire Wolf the Ancient will spawn north of the watch tower. After defeating the White Dire Wolf the Ancient, a green circle will appear where the farmhand was standing. Enter the green circle to complete the mission. You will receive a Properly Locked Box. Talk to Pencast in Tara. Talk to Queen Eirawen in the Rath Royal Castle Throne Room in Tara. Begin your investigation in Tara. Upon exitting through the gates of Rath Royal Castle, a cutscene will occur. Speak to Altam outside of the gates. Talk to Corentin at the Tara Pontiff's Court. Talk to Cardinal Pencast in front of the Tara Pontiff's Court. Talk to Queen Eirawen in the Rath Royal Castle in Tara Throne Room. Speak with Duncan in Tir Chonaill. Talk to the people of Tir Chonaill to put them at ease. Talk to Nora, located near the Tir Chonaill Inn. Find Altam near the Tir Chonaill Inn. He is located behind the tree on the hill, to the right of the inn. Talk to Altam at south of Sidhe Sneachta. Upon entering the portal to Sidhe Sneachta, a cutscene will occur. Find Lassar in Sidhe Sneachta. Lassar appears knocked unconscious along the path in the northern field of Sidhe Sneachta. After talking to Lassar, you will enter the Shadow Mission, Annoying Enemy. Altam and Avelin will assist you in fighting a Girgashiy. This Girgashiy uses Staff Swing, an attack which is directed at you or your allies that will hurt and knock back everyone in an area in front of the Girgashiy. Staff Swing is easy to avoid if you can anticipate who will be targeted or when it will occur. If the Girgashiy will target someone who is out of its reach, it will run up to and face its target. If its target is within reach, it won't face them until it starts using Staff Swing. If you don't know who it will target, you should stay extremely close and wait for it to start its Staff Swing animation, so you can then run behind. Once behind it, you can attack it for about 5 seconds, then wait for its next Staff Swing animation, repeating the process. Defeat Girgashiy to complete the mission. Afterwards, a cutscene will occur and you will exit the mission. Talk to Altam in Sidhe Sneachta. Speak with Lassar at the Tir Chonaill Magic School. Talk to Piaras at the Tir Chonaill Inn. Talk to Lassar at the Tir Chonaill Magic School. Talk to Father Meven in Tir Chonaill. Talk to Kristell in Dunbarton. Talk to the Farm Owner north of Dunbarton. The farm owner is outside the city walls, north of the Church's location, in front of a house. After agreeing to help the farm owner, you will enter the Shadow Mission, Unwanted Errand. Follow the green circles and defeat the boars that appear at each location. The first three will spawn 5 Boars, the fourth will spawn 5 Peridot Crystal Boars. Crystal enemies are variations of boars and wolves that have Advanced Heavy Stander. The easiest way to defeat enemies which can not be stunned is to have high enough damage mitigation (Defense/Protection) to negate their damage to 1. After defeating the boars, head to the green circle in front of the house to complete the mission. Talk to the Bounty Hunter in front of the Wanted Board in Dunbarton. Talk with Comgan in Bangor. Meet the knight in Gairech. Avelin is located north of the Bangor Moon Gate. After talking to Avelin, you will enter the Shadow Mission, Arrogant Enemy. Avelin will assist you in fighting a Girgashiy. This Girgashiy starts immune to damage and uses Staff Swing and Holy Contagion: an attack which gives you an incurable poison that damages you for 5% of your maximum HP every second for 5 seconds. Unlike the Poison status, Holy Contagion can drain your health beyond 1 point and it will knock you unconscious. Holy Contagion will only target and infect you. Survive for 1 minute and a cutscene will occur. Dying during the cutscene will cause the Girgashiy to be glitched and the mission will become incompletable. Consider running away and out of sight from Girgashiy until the cutscene occurs so you can avoid taking damage from Holy Contagion. After the cutscene, Girgashiy will no longer be immune to damage. Talvish has arrived to assist you. Defeat Girgashiy to complete the mission. One strategy is to let Avelin and Talvish defeat Girgashiy for you. After the cutscene, Talvish will appear but he will not be active until you have moved within sight of him. if you can verify that your allies are actively fighting Girgashiy, you go back out of sight and wait for them to defeat it. If Girgashiy sees and is already attacking you, you can fight it with your allies until you are knocked unconscious, and then just stay unconscious until it is defeated. Talk to Talvish in Gairech. Talk to Talvish in Emain Macha. Talvish is located behind the pub. Talk to Avelin in the Knight Assembly Area in Emain Macha. Talk to Talvish in the Knight Assembly Area in Emain Macha. Talk to the people of Emain Macha for clues. Talk to Lucas, located inside Bean Rua pub. Talk to the people of Dunbarton for clues. Talk to Nerys, located at the Weapon Shop. Talk to the people of Taillteann for clues. Talk to Brenda, located at the Clothing Shop. Talk to Talvish south of the Bard Camp. Talk to the people in the Bard Camp. Talk to Yvona at the Bard Camp. You will be prompted to enter the Shadow Mission, Incidental Inevitability. All enemies have Advanced Heavy Stander. Head east of the Bard Camp and defeat 5 Quartz Crystal Boars. After, head northeast and defeat 5 Sapphire Crystal Boars. Head north afterwards and defeat 5 Ruby Crystal Boars. Then 5 Onyx Crystal Boars will spawn. Then, head north again and defeat the 5 Peridot Crystal Boars. Finally, a dialogue will appear and you will face Pennar. Defeat him to complete the mission. Pennar has Level 3 Natural Shield, Mana Deflector, Advanced Heavy Stander and can Teleport and use Final Hit. Spear of Light, Wings of Rage, Hydra Transmutation, the reflection damage of Barrier Spikes, Life Drain, Meteor Strike and Summon Golem can be used if the player does not have melee capabilities. Talk to Avelin south of the Bard Camp. You will enter the Shadow Mission, The Wolf and the Man. Follow Avelin and Talvish and assist them. Talk to Avelin north of Lake Neagh. You will enter the Shadow Mission, Things with Wings. Avelin and Talvish will assist you. Follow Talvish and find Pennar. The mission will automatically complete after one in-game hour, you do not need to survive. You will enter the Shadow Mission, Shattered Trust. Survive the battle for 4 minutes and 30 seconds until reinforcements arrive. If all guards die, the mission will automatically fail and you will be teleported back to the Throne Room. A recommended strategy is to run away from the battle immediately, and towards the gate. This should stop some of the Guards from aggroing the bears due to the distance between you and the NPCs. After 5 minutes, Altam and Avelin will arrive and the mission will be completed and you will be teleported to the north of Tara. If you die during the cutscene, the mission will not complete and you must do it again. Talk to Altam north of Tara. Talk to Altam in Corrib Valley. You will enter the Shadow Mission, Looking Back. You will role-play as yourself. Look around the camp to find items relevant to the past Chapters, then head to the cave. A cutscene will occur and the mission will be complete. Use Ctrl to talk to various locations to find the items. Talk to Avelin outside the northwest walls of Taillteann. You will enter the Shadow Mission, What It Means to Protect, which takes place near the Taillteann graveyard. This Girgashiy starts immune to damage and uses Staff Swing, Holy Contagion, and Mineral Hail. Aside from Staff Swing, its attacks will only target you. Survive until a prompted dialog box appears about Girgashiy's Mineral Hail attack. Mineral Hail will start after the dialog box. Successfully use Shield of Trust as it attacks to trigger a cutscene. Consider running away and out of sight from Girgashiy until the Mineral Hail dialog box occurs so you can avoid taking damage from Holy Contagion. Girgashiy will use Mineral Hail after every few attacks or after 40 seconds since its last use, dealing large damage that is unavoidable. It will always use Mineral Hail on you regardless if you are hidden, out of aggro range, or knocked unconscious. Shield of Trust provides knockdown immunity and stuns Girgashiy if Mineral Hail hits the shield. It does not provide damage reduction at novice rank. After the cutscene, Girgashiy will no longer be immune to damage and will begin occasionally using Fanaticism and Holy Confinement. When it is at low HP (about 20% or less), it will begin to use Soul Absorption: a skill that creates an interruptible shadow of you that will slowly move towards Girgashiy. If it reaches, Girgashiy will receive some healing and you will be knocked unconscious. If Girgashiy uses Fanaticism to grab you, your best chance of survival will be to summon a pet and command the pet to attack Girgashiy because Altam and Avelin may not interrupt it fast enough. The safest method to deal with Soul Absorption is to keep a fair distance from Girgashiy and let Altam, Avelin, and a pet deal damage to it. When your shadow appears, repeatedly hit it with normal attacks to stop it from moving. If Girgashiy keeps using Soul Absorption and your allies are damaging it too slowly, consider standing just close enough to be able to use some long range attacks between those Soul Absorption uses. Talk to Avelin in the prairie northeast of Taillteann. Meet Avelin in Morva Aisle. You will enter the Shadow Mission, Do or Die, which takes place at Port Ceann. This Girgashiy uses Staff Swing and Holy Contagion. Holy Contagion will only target you. Defeat the Girgashiy to trigger a cutscene. If you run out of sight from Girgashiy, it will stop targeting you with Holy Contagion. Altam and Avelin will continue to fight it alone, but it would take a very long time for them to defeat it. After the cutscene, Brilluen, Marcan, and Pennar will appear. All 3 enemies have Advanced Heavy Stander. Brilluen has Snap Cast, Fireball, Thunder, and Ice Spear. Marcan and Pennar have Teleportation. Defeat Brilluen, Marcan, and Pennar to complete the mission. If Altam or Avelin are defeated, they will respawn to help you again shortly. One strategy is to separate each of them from each other then let Altam and Avelin help you defeat them one at a time. Marcan and Pennar begin by pursuing you. You can run by foot to the southwest corner of the map. They will follow you with teleportation. Once you have them far out of sight from Altam and Avelin, you can summon a mount and ride it back faster than Marcan and Pennar can pursue you. When you are out of their sight, they will stop to wait where they are. Help Altam and Avelin defeat Brilluen, then get just within sight of Marcan or Pennar to attract them where you can fight 3 on 1, finally attract and defeat the last one. Talk to Talvish in Port Ceann. Talk to the Tara Watchman at Rath Royal Castle gate in Tara. It's the guard on of the left side of the outer gate, near Lezarro. You will enter the Shadow Mission, Under Siege, which takes place in Rath Royal Castle's Yard. Enemies in the mission are weak against Judgment Blade enough to be defeated in one hit. Peridot Crystal Wolf and Peridot Crystal Boar spawn in groups along the path fighting castle guards. When a group is defeated the next will appear. The second group will contain a Girgashiy. When it is defeated, the remaining enemies in the group will disappear. Use Judgment Blade to defeat it. The fourth group will contain two Girgashiy. When they are defeated, the mission will end. Use Judgment Blade to defeat them. Talk to the Rath Royal Castle Guard in Tara. You will enter the Shadow Mission, Gods Save the Queen, which takes place in Rath Royal Castle's Hanging Garden. This mission is split into two parts. For the first part, Eirawen and a group of guards are at the center of the garden. Enter the circle when you are ready to begin the battle. You may want to test your Judgment Blade before starting in order to get a feel for its attack animation time and range. Large ancient peridot crystal enemies will spawn randomly at 8 positions surrounding the center. They move slow and will not aggro unless attacked. One at a time, they will move towards the center of the garden. If they reach the circle, you will fail the mission. Defeat 6 enemies for a cutscene to occur. Stand at the center and wait to see which enemy starts moving towards the center. Move to the path between it and the center, then load Judgment Blade. Wait for the enemy to come within range to attack them with Judgment Blade. Your best chance to hit them is when they are moving within the linear path of your blade. If you are having trouble hitting them with Judgment Blade, you may use Celestial Spike to decrease enemy Movement Speed, or use Sand Burst to temporarily stop them. Enemies have Advanced Heavy Stander but can be hit stunned. Using a pet to auto-attack the enemy will also give you time to charge and cast Judgment Blade. Attacking the enemy will cause it to aggro you, stopping its forward movement. However, it will not attack you and you may use Judgment Blade at this time. For the second part, after the cutscene, two Girgashiy will spawn at the two corners of the garden away from the door to the interior. During this time, you will have full access to the 3 basic Crusader Skills without them having a shared cooldown. The Girgashiy will mostly use Staff Swing, occasionally use Holy Contagion, and always use Mineral Hail after several attacks or every 40 seconds. The Girgashiy will drop aggro and return to their starting position if you use Hide, use Crisis Escape, or you are knocked unconscious. The Girgashiy are unimpeded by obstacles. It is in your interest to fight them at a spot where you will not get blocked by the garden obstacles. After defeating both Girgashiy, a cutscene followed by the ending credits occurs. The most opportune time to use Judgment Blade is after a Girgashiy jumps on top of you with Mineral Hail. One strategy is to separate the Girgashiy so you can fight them one at a time. They both aggro immediately after the cutscene, so the only way to separate them is by running away towards the door to the interior and when you reach it, drop aggro using Hide or Crisis Escape. If you don't have either skill, you can also get knocked unconscious there and revive with a Nao Soul Stone after they leave. After the Girgashiy return to their starting positions, go to one of the corners across from the Girgashiy and slowly move within range to attract one of them. Let it come to you and be wary that you have limited room to fight it because you don't want to accidentally attract the other. This will rank all your Crusader skills to Rank F.
Talk to Altam in the Knight Assembly Area in Emain Macha. The Healing Hands (Shield of Trust subskill) will be unlocked. The Girgashiy Raid is also now available to you, along with its associated and Daily and Weekly Orders. Raids can be created through the Alban Knight Emblem located in the Knight Assembly Area in Emain Macha.